– Click on the + button at the bottom right of the GooglePlay window. – Enter your file name and click on Upload APK. Select your APK file, wait a few seconds and click on Create. – Done! 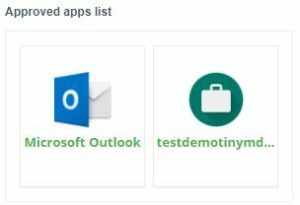 Your private app will be visible in your Enterprise Approved App list. If you got the error message “Upload a new APK file with a different package name” : please make sure that the package ID of your private app is unique and doesn’t already exist in the Playstore. 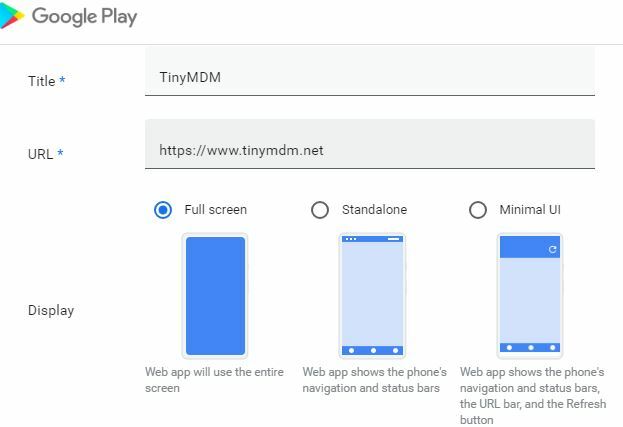 For example, Gmail package ID on the PlayStore is “id=com.google.android.gm”, so you won’t be able to deploy a private app with the same package ID. If this happens to you, please ask your developer to rename the package ID and try again to upload your private app. – Enter your private web app name, its URL, choose its display settings and customize its icon. Then, click on Create.